If you can’t lose nagging pockets of fat, such as love handles, in spite of diet and exercise, then noninvasive body contouring may be the solution you need. 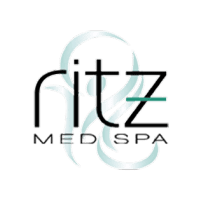 Ritz Med Spa in Franklin, Tennessee, uses a state of the art body contouring system called SculpSure® to permanently melt the stubborn fat cells away. One session takes under half an hour, and you don’t need to worry about downtime, so call Ritz Med Spa for your SculpSure treatment. SculpSure is an advanced laser set to a specific wavelength that’s readily absorbed by fat tissue in deeper layers below the skin’s surface, yet it doesn’t harm your skin or the surrounding tissues. As fat cells absorb the laser’s energy, they’re heated just enough to make them break down, essentially melting the fat. The targeted fat becomes waste that’s naturally flushed through the body’s lymphatic system. The SculpSure system comes with four flat applicators that are placed against your skin. One or more applicators are used depending on the area of fat being treated. One session lasts 25 minutes. During that time, the entire abdomen can be treated by using all four applicators. What Body Areas are Treated with SculpSure? SculpSure is FDA-approved to reduce fat from the abdomen, flanks (sides of your abdomen such as love handles), inner thigh, outer thigh, and back. Who is a Good SculpSure Candidate? SculpSure is intended for use in patients who are at or near a healthy weight, yet have pockets of fat that won’t go away. You should be in good general health to have SculpSure treatment and committed to maintaining your results. The fat reduced during SculpSure treatment is gone for good, but you can still accumulate fat in the same area if you gain weight down the road. Don’t hesitate to call the Ritz Med Spa if you have any questions. They’re happy to tell you more about SculpSure so you can determine whether it's right for you. How Many SculpSure Sessions are Needed? The Ritz Med Spa team recommends getting at least two treatments. One session with SculpSure reduces the fat in the area treated, so most people need several sessions to achieve their desired body shape. * The team works with you to create a customized plan based on the amount of fat you’d like to lose. How Much Recovery Time is Needed After SculpSure? SculpSure treatment requires no recovery time at all. You can schedule SculpSure anytime that it's convenient for you, and then return to work or your regular routine immediately thereafter. It takes a little time for your body to flush the waste, so results appear gradually. You may notice some improvement in about six weeks, but it usually takes 12 weeks to see the full effect.